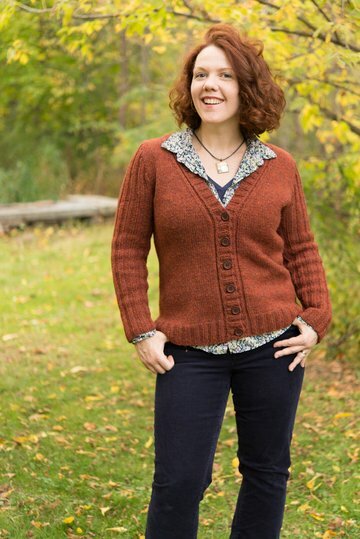 Stonington is a classic cardigan shape with a quintessentially fall look. 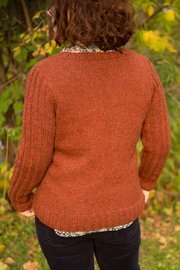 It is both extremely simple to knit and has just enough detail to produce a timeless, wearable sweater. The lines evoked by the 2x2 ribbed sleeves and ribbing detail on the cardigan’s fronts allow it to be dressed up, and the earthy tweedy wool makes the sweater equally as comfortable with an old pair of jeans. It is worked in pieces from the bottom up and then seamed, with ribbed trims and a deep V neckline. 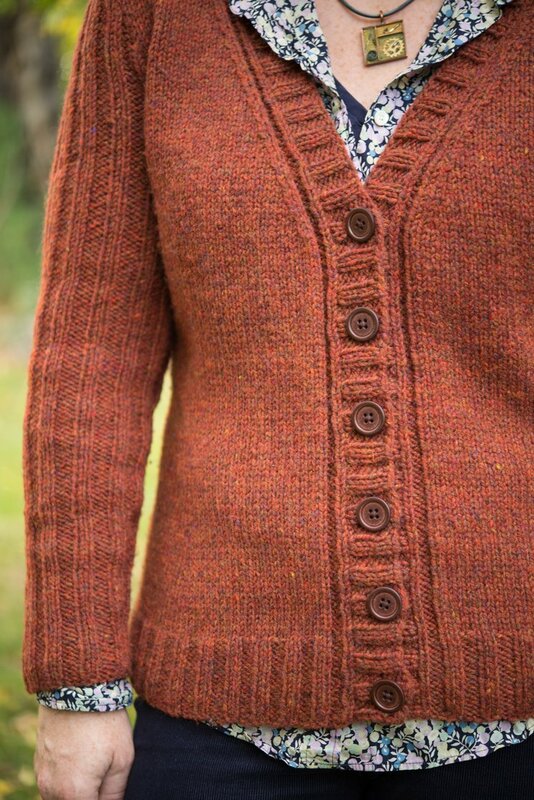 The sleeves are worked entirely in 2x2 ribbing, and one repeat of ribbing is carried up the cardigan fronts. The button band is picked up after seaming and also worked in 2x2 ribbing. As written, the cardigan features a low-hip length and long sleeves. Harrisville Designs WaterSHED yarn, shown in color "Monarch". 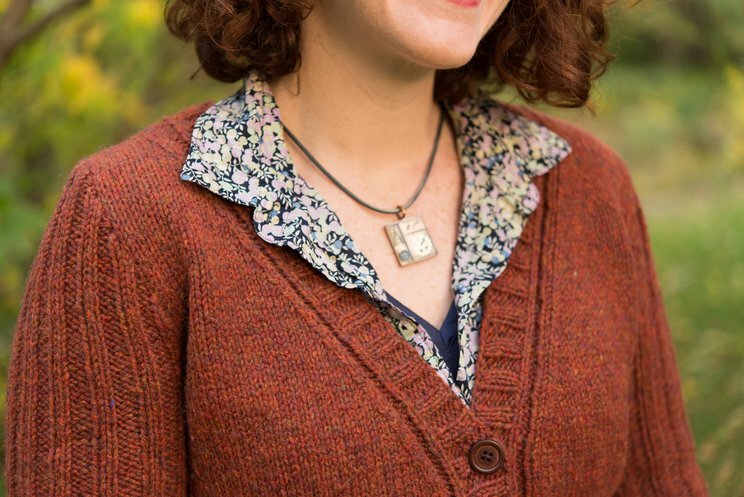 WATERshed’s lightness and body contribute to an incredibly wearable finished product, and I highly recommend it for this sweater. To make a standard-size 30 (32, 34, 36, 38, 40, 42, 44, 48, 52, 56, 60)’’ / 76 (81.5, 86.5, 91.5, 96.5, 101.5, 106.5, 112, 122, 132, 142, 152.5) cm sweater, you'll need approximately 7 (8, 9, 10, 10, 11, 11, 12, 13, 14, 15, 16) hanks for this design.